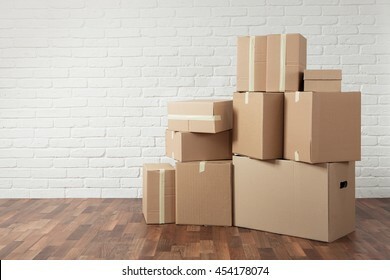 One of the most tedious, annoying parts of moving is putting all of your belongings into boxes to move. Things you had entirely forgotten about, things you can’t live without, things you don’t care about but need etc. We’ll pack it all up for you so that you can mentally prepare instead of spending all your time building and filling boxes. You’ll have the opportunity to arrange timing with one of our experts. If you’ve already moved but you need your things sent, we’ll get all of your belongings packed up and delivered. If you haven’t moved yet but you don’t want to wait until the last minute, we’ll either come pack you up while you’re at home or we’ll pack up while you’re away at work. All of our professionals have had background checks completed, so you’ll have no concern with them in your home without you. All you need to do is fill out one of our packing lists – this will tell us what needs to be packed, where it is, and any special precautions that need to be taken. You’ll also note any rooms or areas that are off limits or that aren’t ready yet. We’ll bring the boxes, the tape, the markers, etc. And we’ll make sure that everything is cataloged and noted. If you need these boxes kept in a moving pod, we’ll arrange that too. © 2019 Proweather Store. All rights reserved.